Silver Toshiba Equium laptop. Could also be used for spare parts. Has been reset to factory settings. Collection only. Serial number 78240957Q. Product ID 89578-OEM-7332157-00237. From picture see key pad and screen removed from a Dell Lattitude 540/640. CD writer also. Keyboard is missing A and J keys. P/N: H4400, 0H4400. PE 121607 I/B 121605.13/3/2015. Grade B. Needs parts. This is your responsibility. Brand: MicrosoftProcessor: Intel Core i5 7th Gen.
Order MB134LL/A Model A1260 (EMC 2198). APPLE MACBOOK PRO A1260 WORKING MOTHERBOARD LAPTOP PARTS MISSING. MacBook Pro "Core 2 Duo" 2.5 15" (08) 2.5 GHz Core 2 Duo (T9300). Complete MacBook Pro "Core 2 Duo" 2.5 15" (08) Specs. NOT Web Cam 3c. Toshiba Sat Pro L300 Complete Base. NOT INCLUDED. NO HARD DRIVE MAY OR MAY NOT HAVE PLASTIC COVER. APPLE MACBOOK PRO A1211 WORKING MOTHERBOARD LAPTOP PARTS MISSING. Order MA609LL Model A1211 (EMC 2120). MacBook Pro "Core 2 Duo" 2.16 15" 2.16 GHz Core 2 Duo (T7400). Complete MacBook Pro "Core 2 Duo" 2.16 15" Specs. This is the Fujitsu u554 ULTRATHIN model with wifi. 4th generation i3-4000-1.7 MAINBOARD ONLY. WORKING AND TESTED. Over two weeks of using the laptop and it works like a dream! Great buy! ALSO AVAILABLE SCREEN, KBD, AND MOST PARTS EXCEPT SCREEN BEZEL. 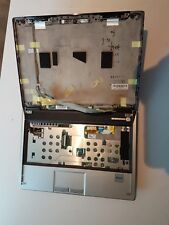 Lenovo IBM ThinkPad T60 Laptop Parts. Model MW-GER - FRU: 39T7454 / P/N: 39T7453. Model MW90-UK - FRU: 39T0982 / P/N: 39T0952. (from top to bottom). Bluetooth BDC-2 daughter card (FRU: 39T0497). Modem MDC-1.5 daughter card's (FRU: 39T0495) (x4). HP Pavilion 15 ; motherboard, 8GB internal memory, 1TB internal hard drive and battery. I have ever part available for the dell E6440 laptop from. P/N: U8002, 0U8002. 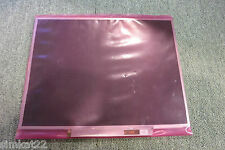 Dell Latitude D510 Laptop 15" LCD Screen Back Cover/Lid. PE 121606 I/B 121605.13/3/2015. All parts have been carefully removed from a pre-owned laptop. The price is for any ONE spare part. Top Lid Cover. All parts have been carefully removed from a pre-owned laptop. The price is for any ONE spare part. HDD / RAM cover. Screen Bezel. Dell M5010 DG15 IO Board. All parts have been carefully removed from a pre-owned laptop. The price is for any ONE spare part. Screen Bezel. Top Lid Cover. All parts have been carefully removed from a pre-owned laptop. Fan / Heat-sink. The price is for any ONE spare part. All parts have been carefully removed from a pre-owned laptop. The price is for any ONE spare part. Keyboard - SOLD. Power Jack. Fan / Heat-sink. Bottom RAM / HDD Cover. Tested / Cleaned. All parts have been carefully removed from a pre-owned laptop. The price is for any ONE spare part.